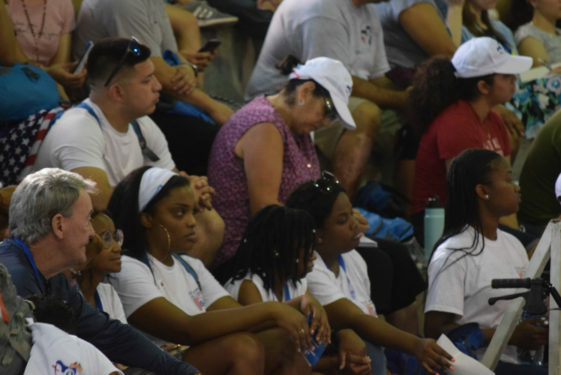 PANAMA CITY — Brooklyn pilgrims and those from across the U.S. learned more about their faith with catechesis led by Archbishop Christopher Prowse of Canberra and Goulburn, Australia, on their first official day of religious instruction as part of World Youth Day 2019. 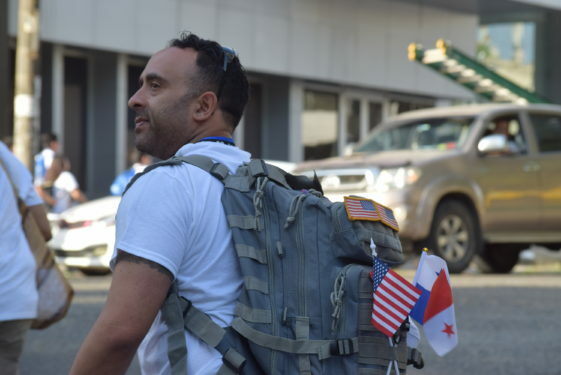 The Queens parishioner said he wasn’t necessarily an ideal Catholic back in New York but through just the first two days of encountering multitudes of other young pilgrims expressing their faith, he said it changed his perception to the point that he felt redeemed. 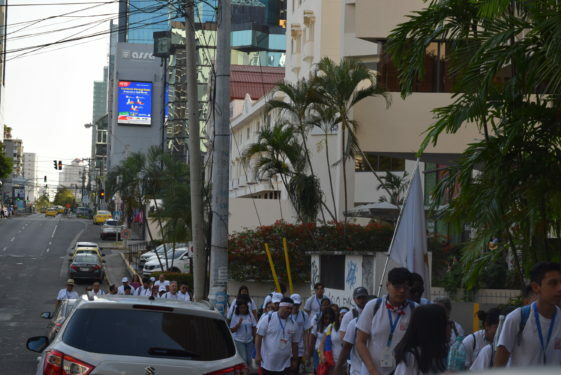 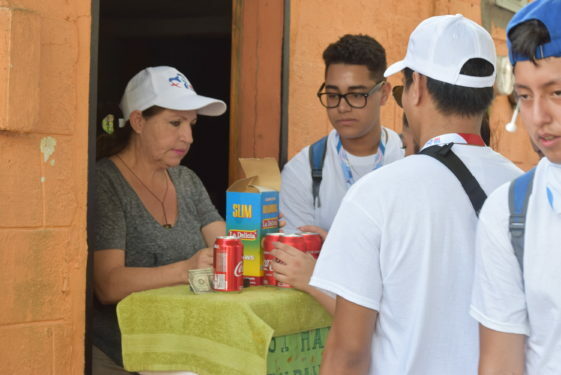 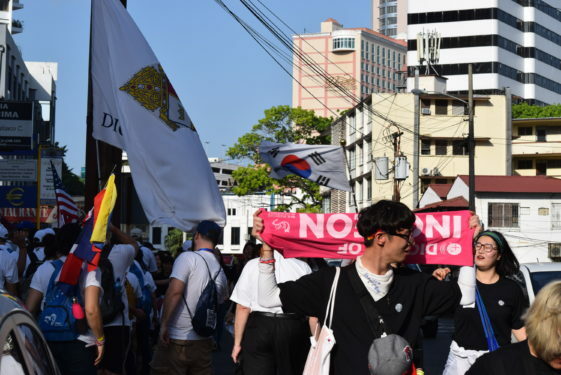 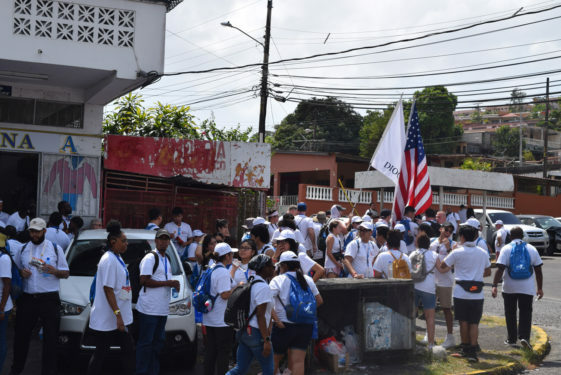 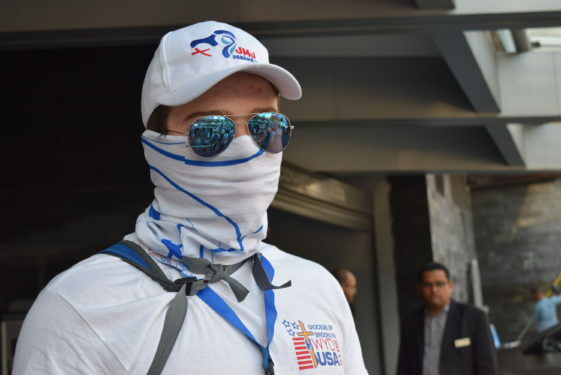 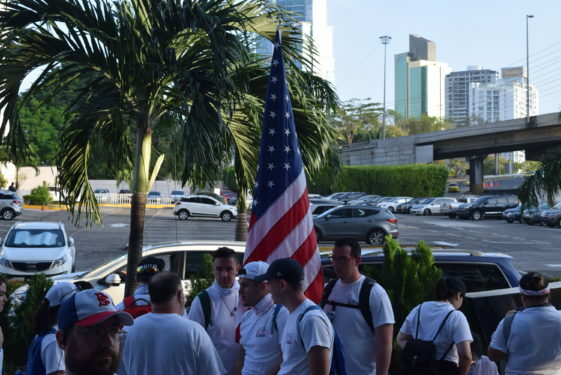 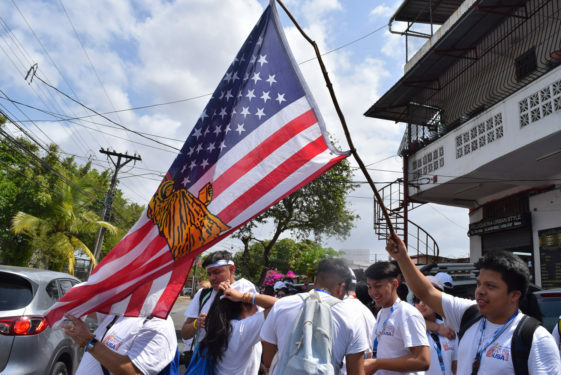 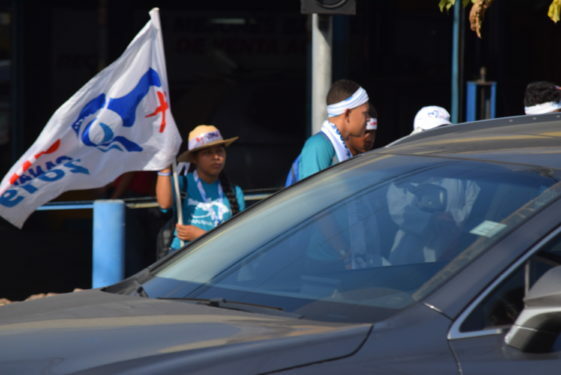 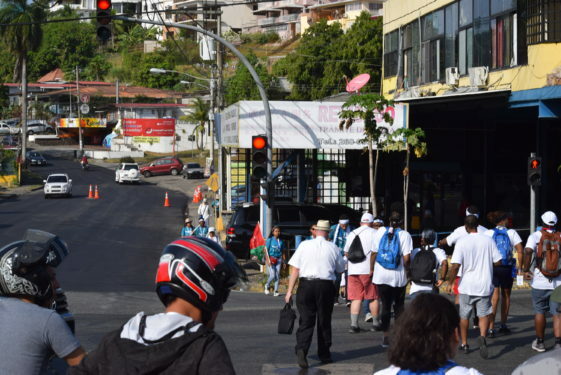 Severino and the rest of the nearly 200 pilgrims representing Brooklyn and Queens not only engaged in spiritual exercises that challenged their way of thinking, but also spent hours walking in the Central American heat along Panama’s city streets. 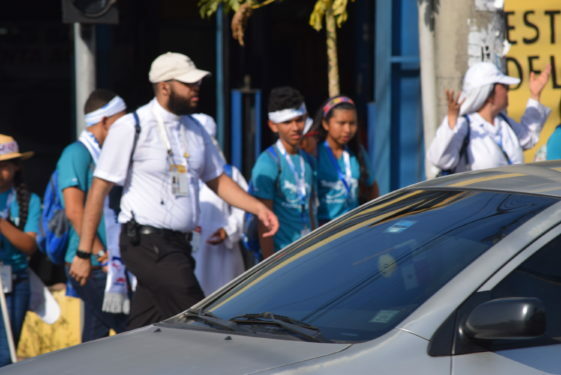 They were more than ready for the test as they trekked with a vigor and energy that attracted anyone crossing their path. 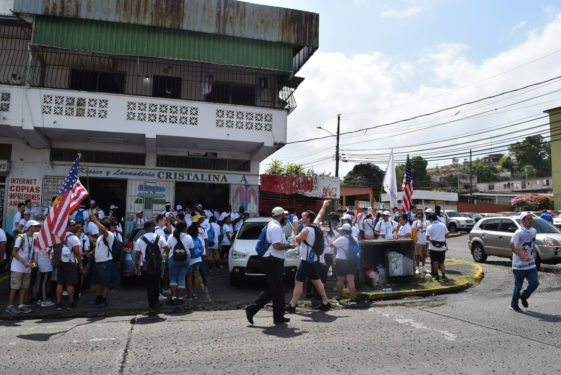 Pilgrims from SS. 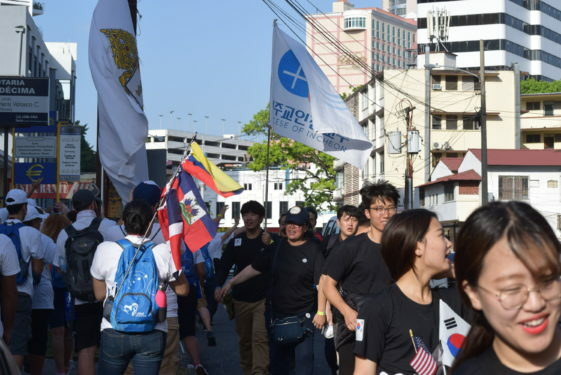 Joachim and Anne, Queens Village, said that the long walk to catechesis was one of the memorable moments during World Youth Day. 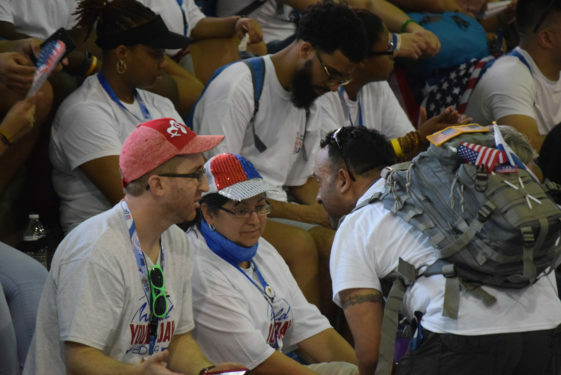 Nearly 200 pilgrims from the Brooklyn contingent trekked throughout Panama City for miles to reach the morning sessions that allowed the young adults to ask questions about their faith. 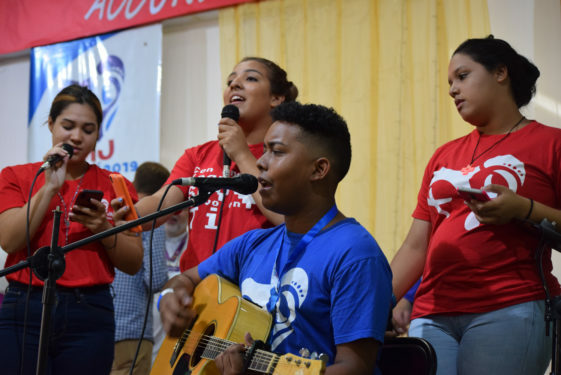 In those moments, the diocesan contingent reflected a warm and welcoming aura — a stark contrast to the blistering cold and uninviting weather they left behind in New York. 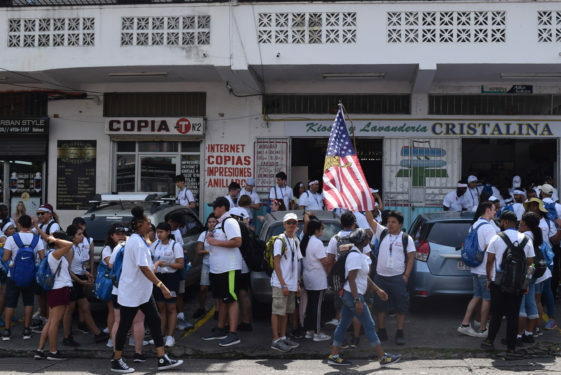 Local Panamanians honked their horns or waved their hands when they saw the caravan of young pilgrims. 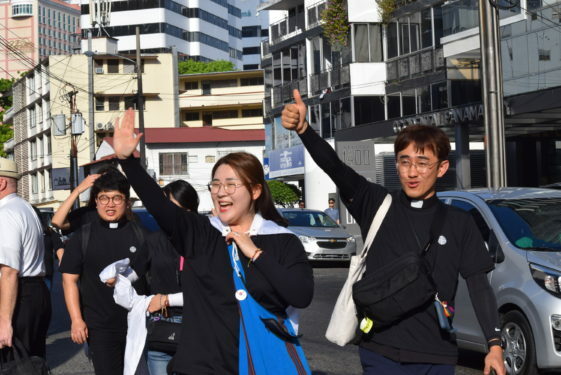 Smiling faces from the Diocese of Incheon in South Korea high-fived with the group as they passed. 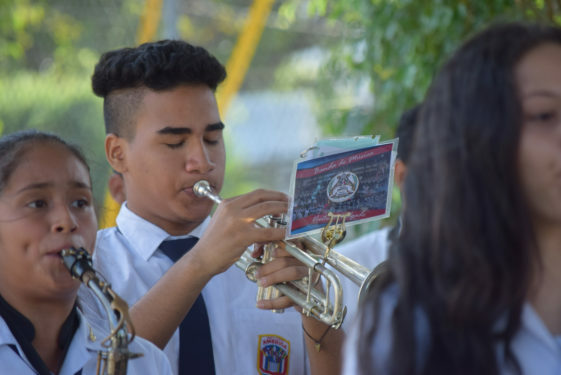 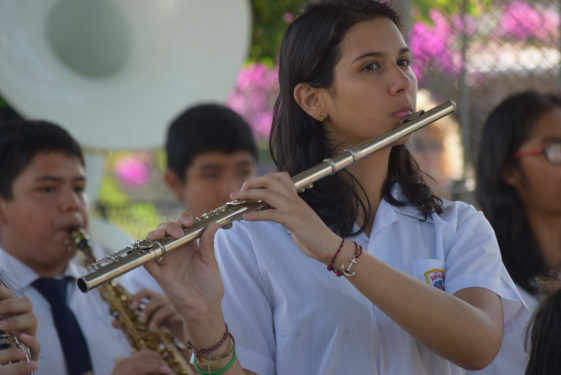 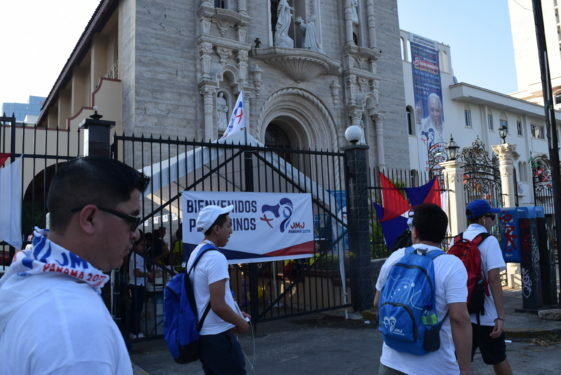 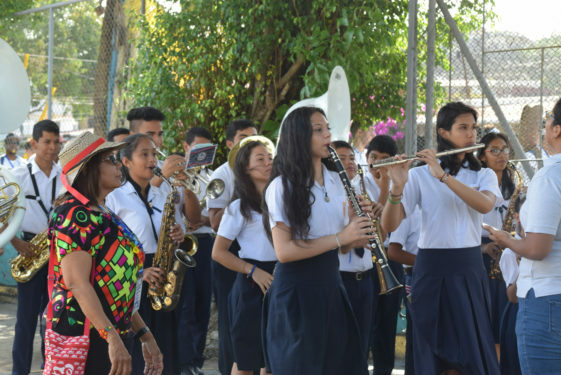 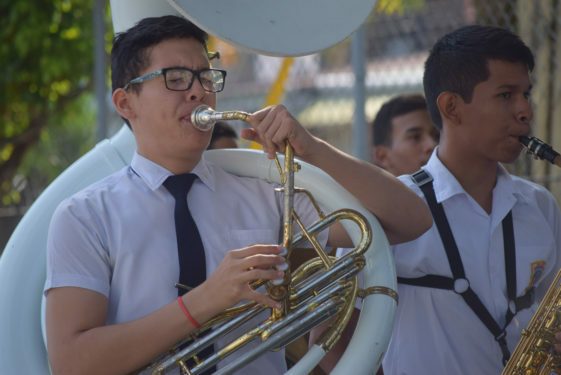 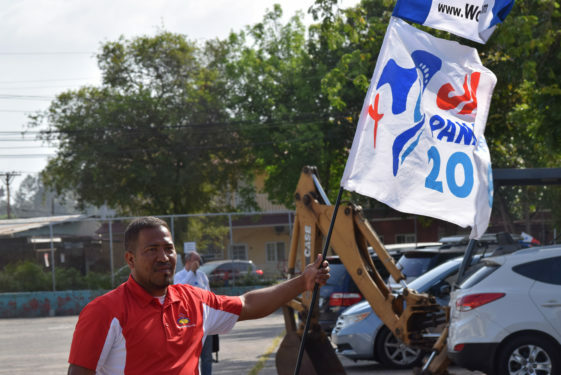 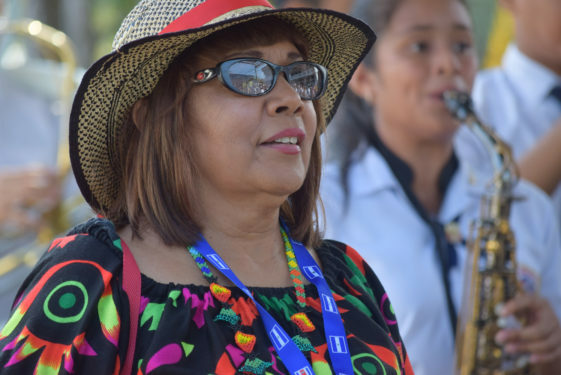 Local Panamanians echoed the same welcoming sentiment when a marching band welcomed pilgrims inside the American Institute, where catechesis took place. 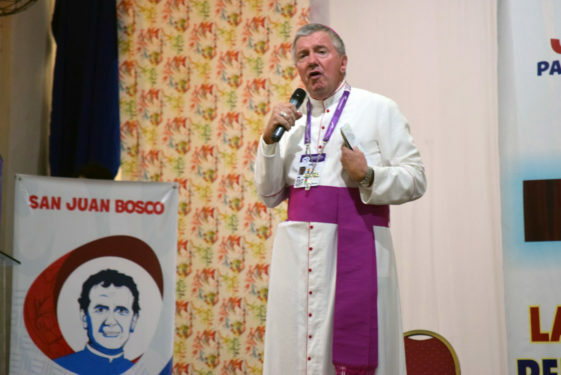 A Mass, celebrated by Archbishop Prowse and concelebrated by clergy from dioceses across the country, followed. 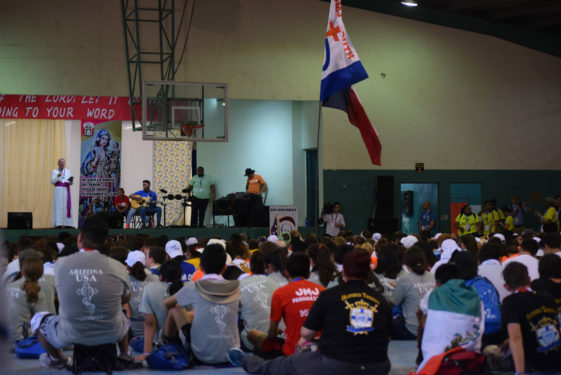 Archbishop Prowse encouraged young pilgrims to say ‘yes’ to God’s calling with an emphasis on the event’s theme – the Blessed Mother’s fiat: “I am the servant of the Lord. 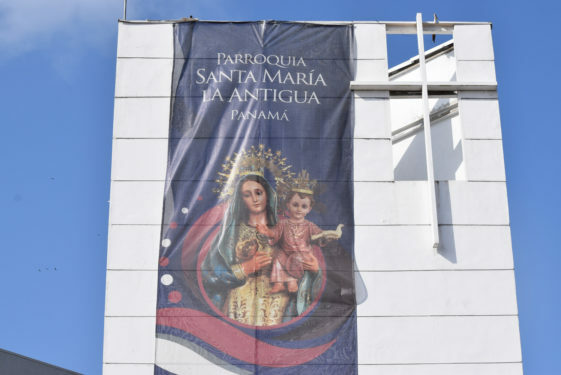 May it be done to me according to your word” taken from the Gospel of Luke. 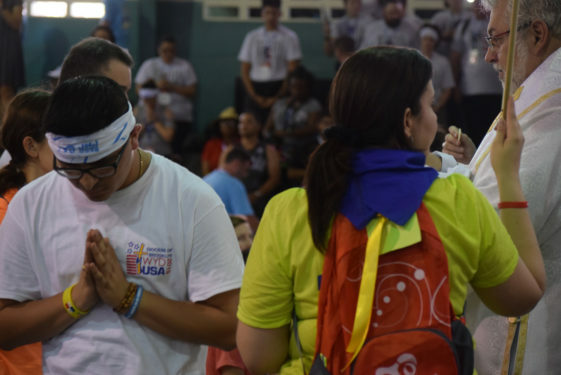 After finishing his talk, the archbishop allotted time for questions and answers from the crowd. 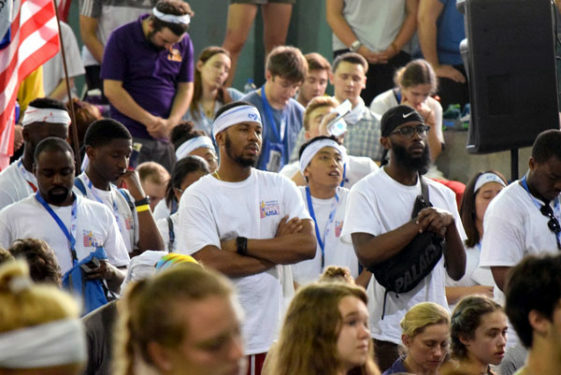 The packed gymnasium was filled with young adults who didn’t shy away from addressing the elephant in the room. 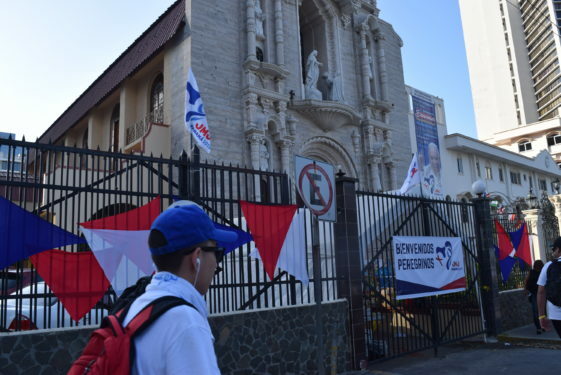 A young man from the U.S. went up to the microphone and told the archbishop how the clerical sexual abuse affected him as a young Catholic. 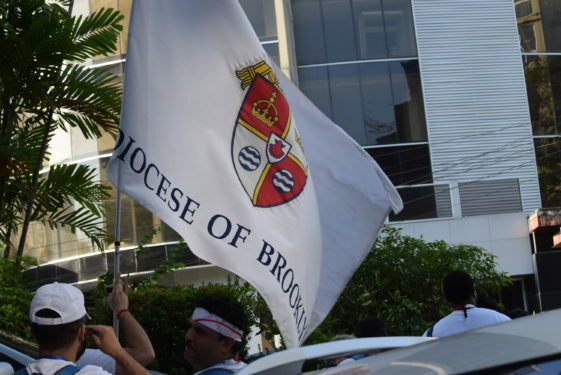 He asked the Australian archbishop how the Church would press forward. 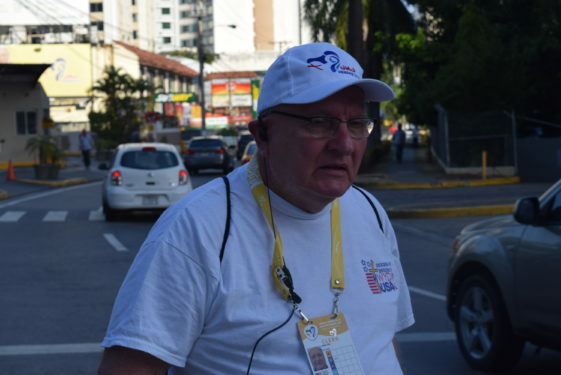 Other questions included how to discern God’s voice from one’s own personal voice as well as questions about one’s vocation in life. 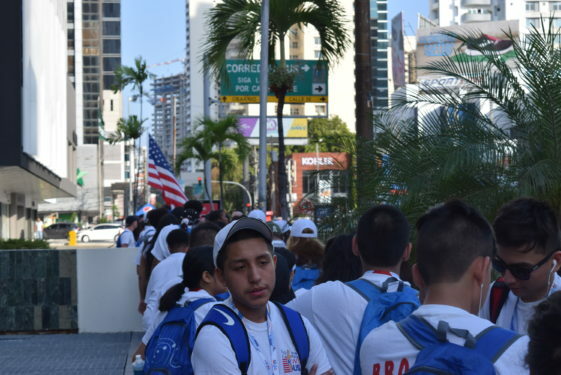 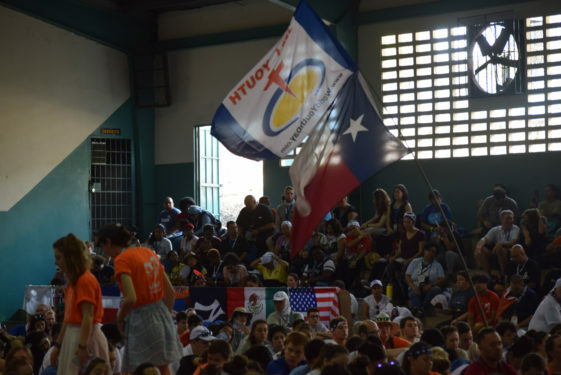 Brooklyn’s Vocational Director Father Sean Suckiel said the opportunity to question one’s personal calling in life is one of the main aspects to attending WYD. 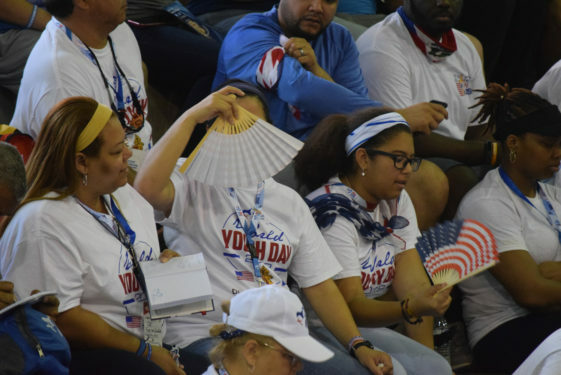 “World Youth Day is designed to inspire the hearts of our young people to live the Christian life,” Father Suckiel said. 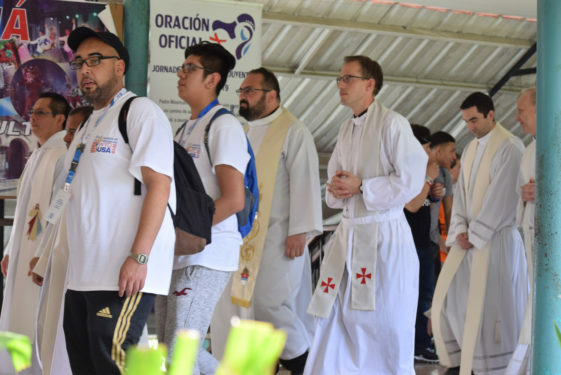 “Part of living the Christian life is really the call to discipleship and the call to their vocation. 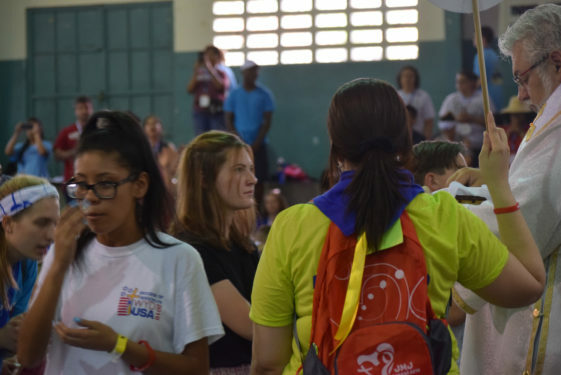 Diocesan director of youth and young adult formation,Paul Morisi, and three pilgrims from the group had the unique opportunity to help with catechesis during the Jan. 24 session where together they led more than 100 pilgrims from various countries such as Botwsana, Antigua and the United States. 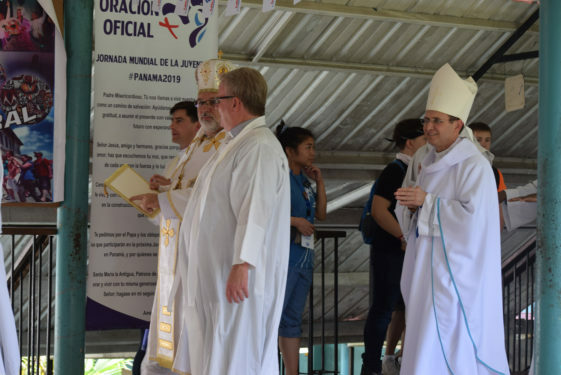 Catechesis was led by Cardinal Wilfrid Napier, archbishop of Durban, South Africa. 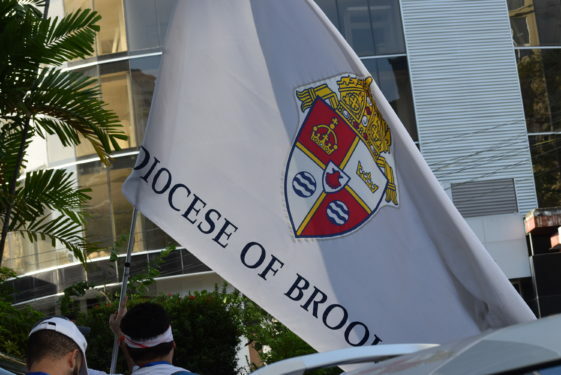 Helping Morisi with the liturgy and music were father and son Tony and Anthony Montalvo from St. Dominic’s, Bensonhurst and Our Lady of Sorrows, Corona, pilgrim Mary Paguay who sang at Mass.